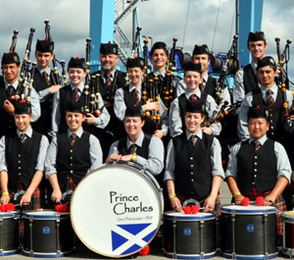 The Prince Charles Pipe Band ranks among the best pipe bands in the world. It has competed in the United States, Canada and Scotland, winning numerous championships and awards. In August, the band won first place at the Scottish Gathering and Games at Pleasanton CA. Performed Sunday, November 2, 2014 - 7:30 p.m.